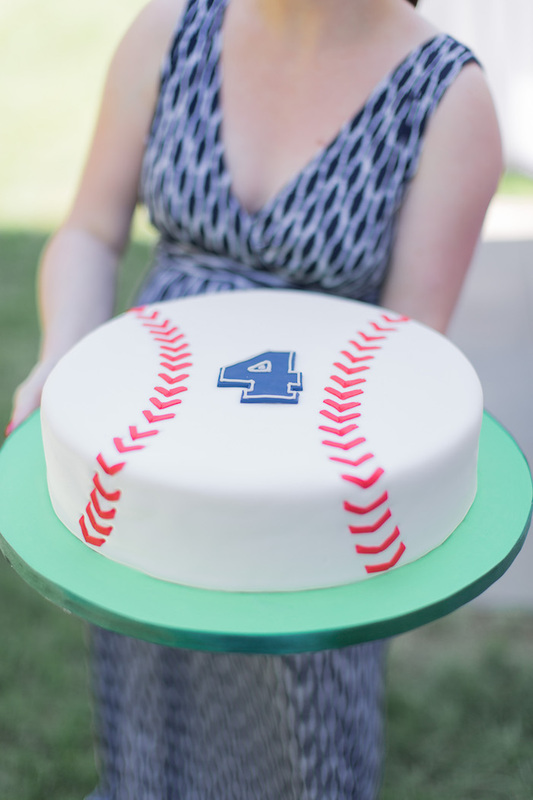 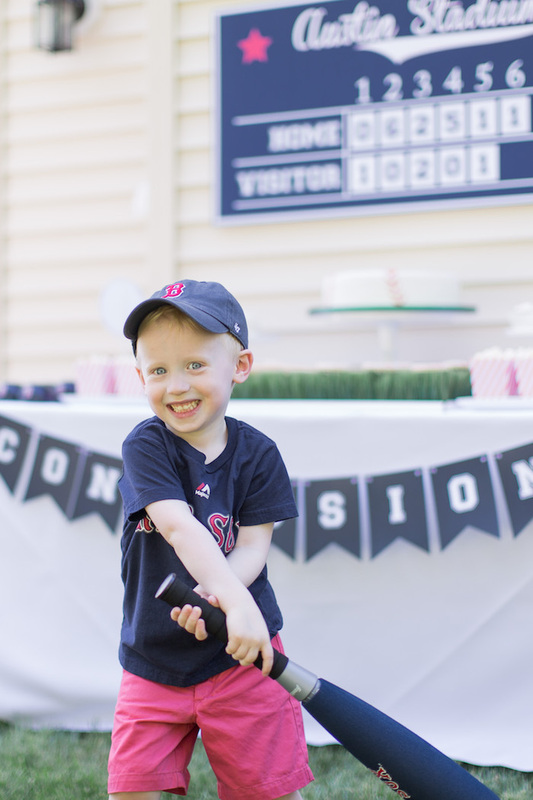 The batter is up and ready to swing in this adorable 4th Birthday Baseball Party submitted by Kristin Austin of Paige Simple out of Bedford, NH. 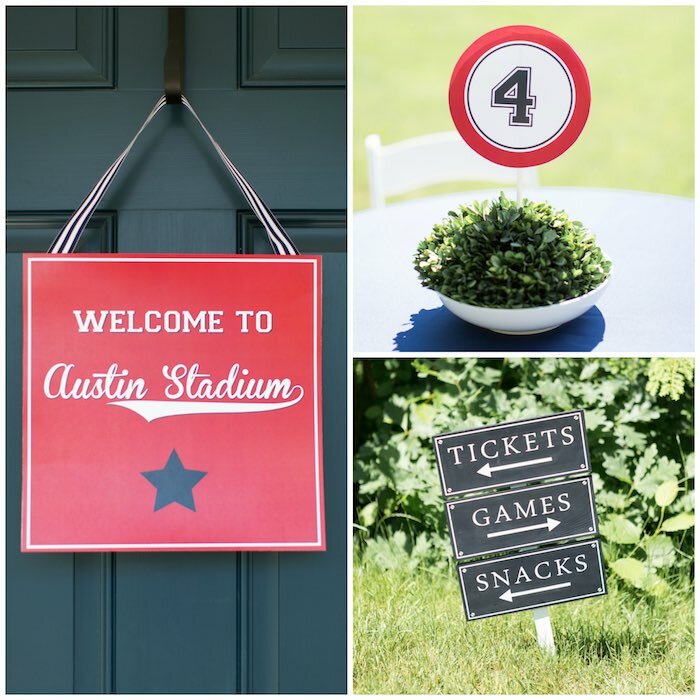 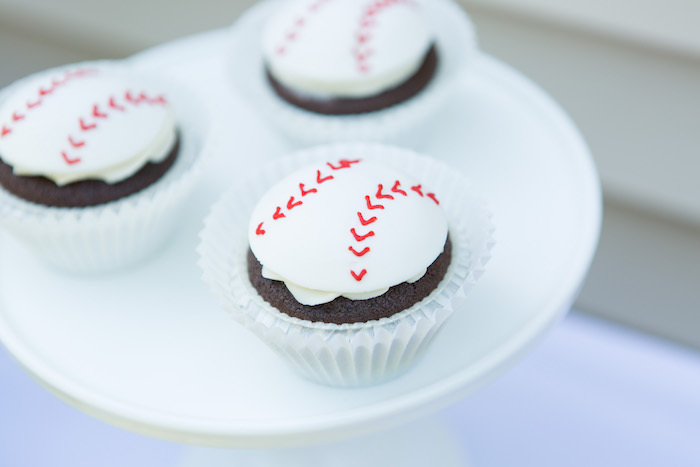 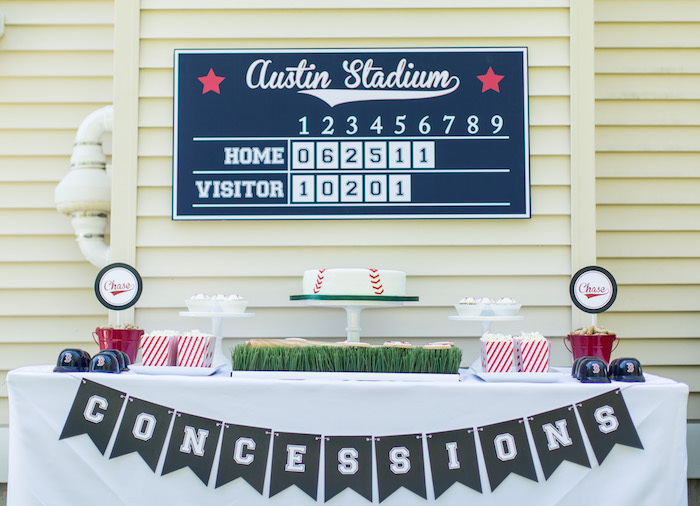 With home-run details that include an awesome scoreboard, peanuts + popcorn for munching, and fabulous baseball-inspired sweets, you wont be quite sure as to whether youve just been looking at a party or if you, indeed, might have spent your day at the ballpark! 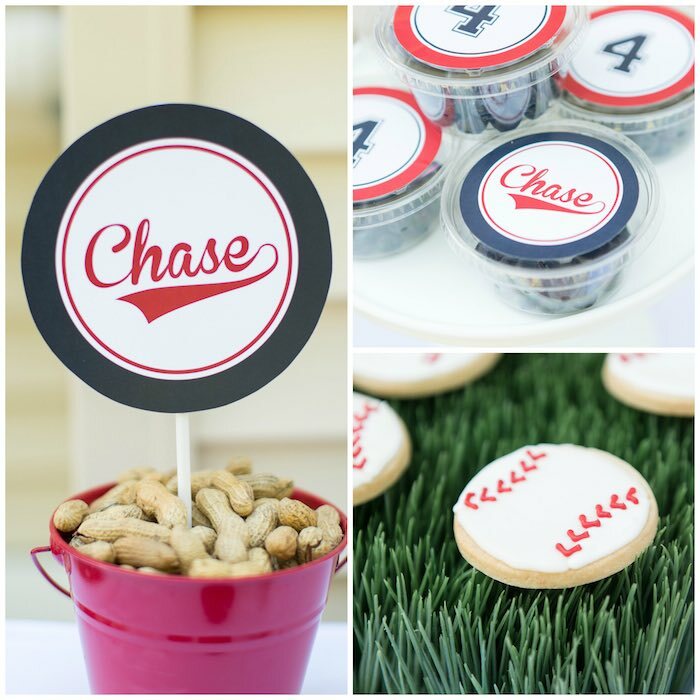 This is what Kristine shared about planning the party- My son, Chase, turned 4 on June 25th and asked to have a baseball themed party. 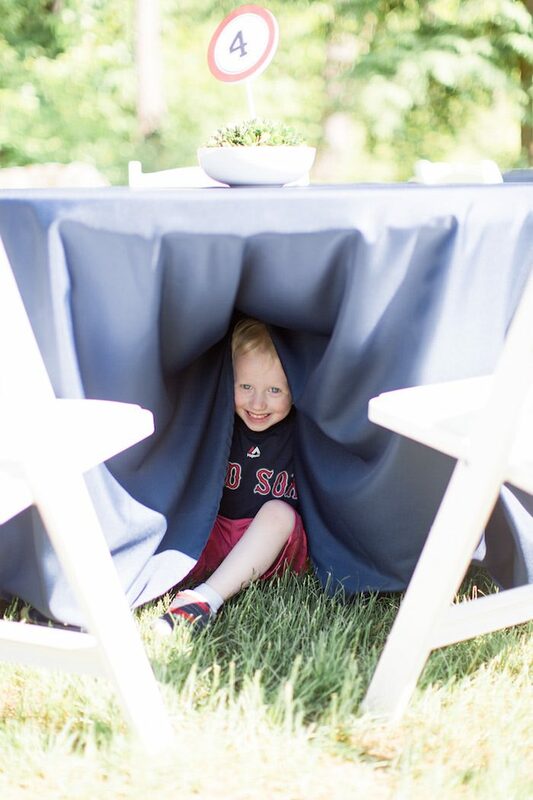 We live an hour north of Boston so I absolutely had to incorporate our beloved Red Sox into the party theme. 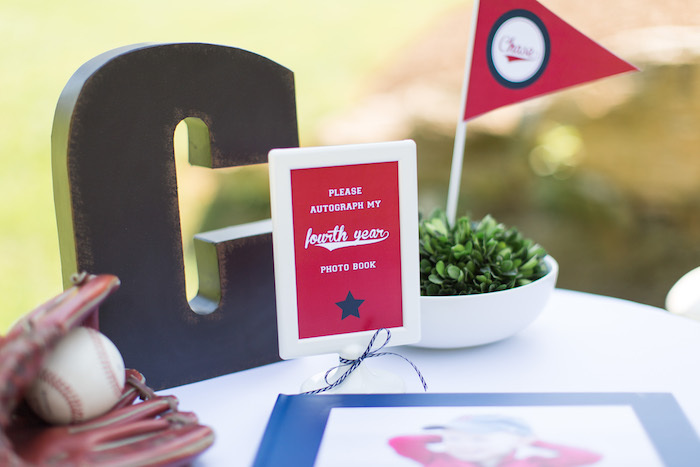 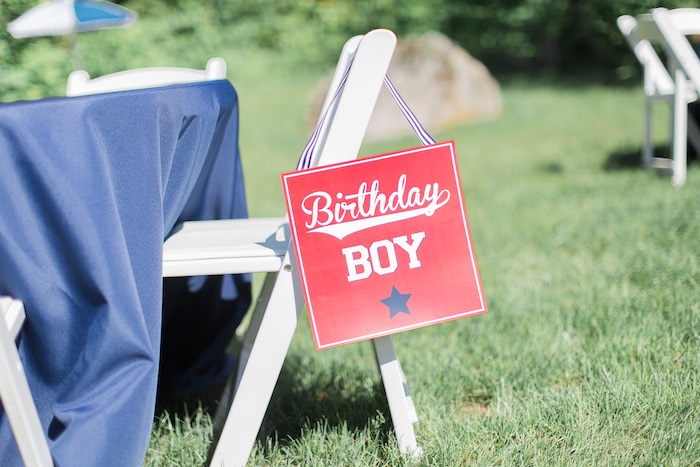 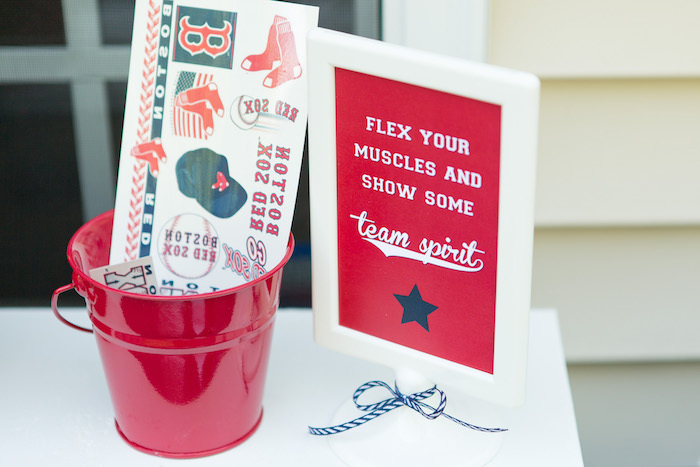 Lucky for me the team colors (navy, red, and white) are perfect for an all-American baseball celebration! 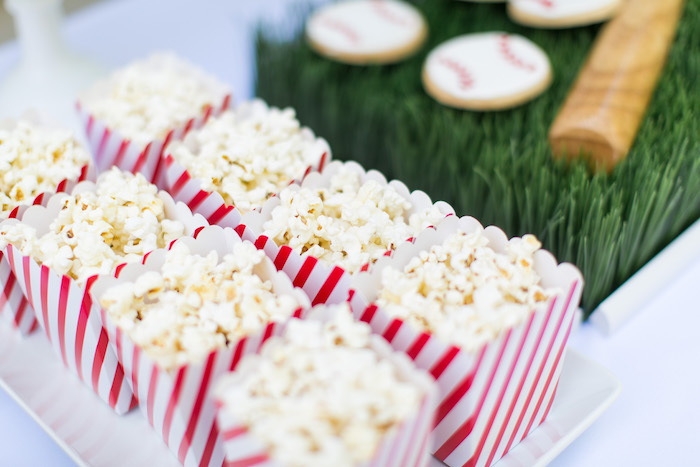 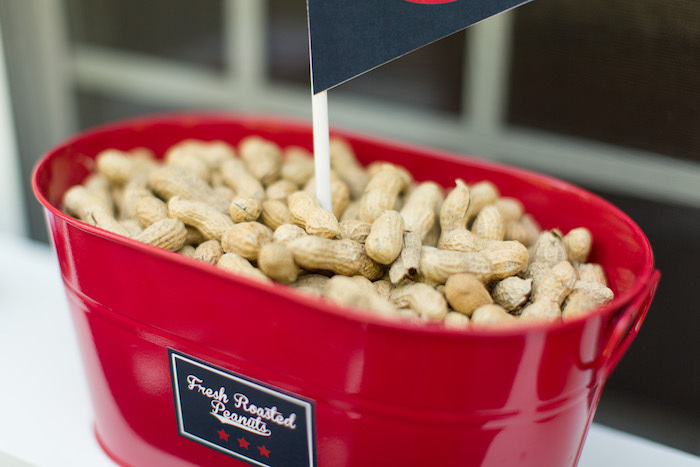 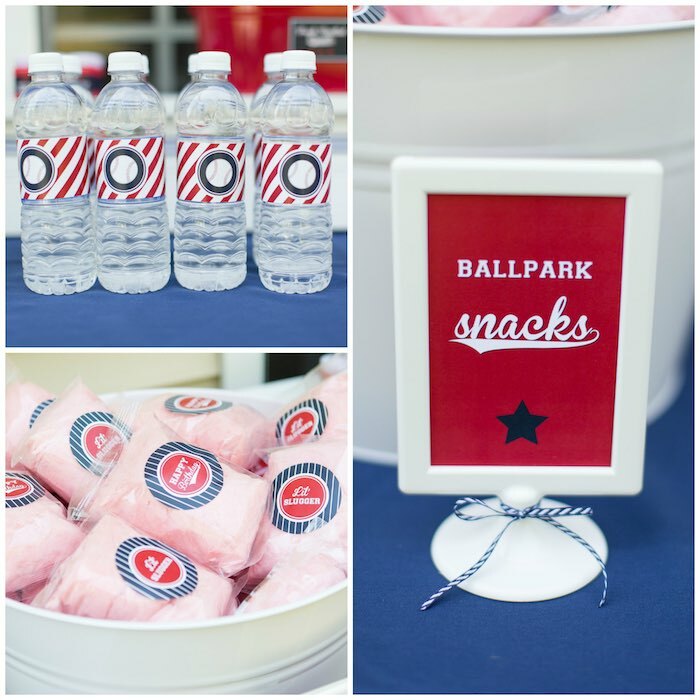 I chose classic stadium snacks like peanuts, popcorn, and cotton candy to serve to guests. 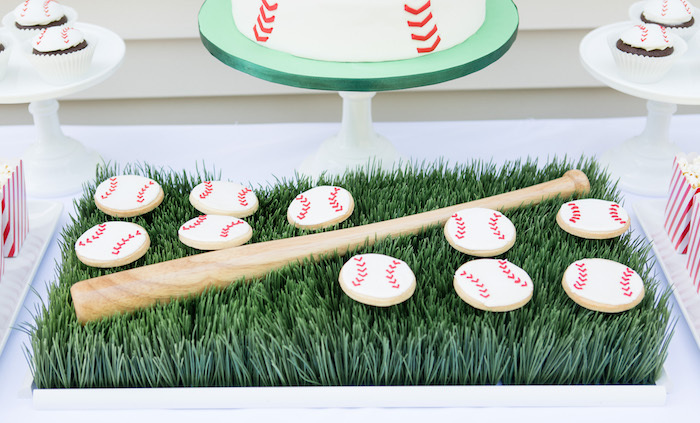 Baseball shaped cake, cookies, and cupcakes also adorned our snack table.